Come and join us in the woods on Saturday the 20th of April for our annual Easter egg hunt. 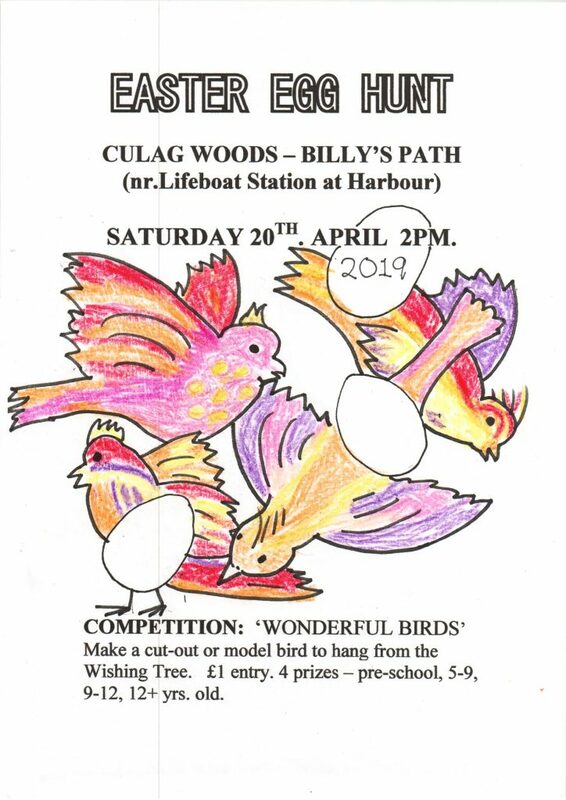 We will meet at Billy’s path (near the life boat station at the harbour) at 2pm. This year’s competition: Make a cut-out or model bird to hang from the wishing tree. There will be 4 prizes awarded, pre-school; 5 to 9; over 9-12 and 12+ years old. Competition entree fee £1. Egg hunting is a free event, donations welcome!